Home » Global » Condemn Israel’s terror! 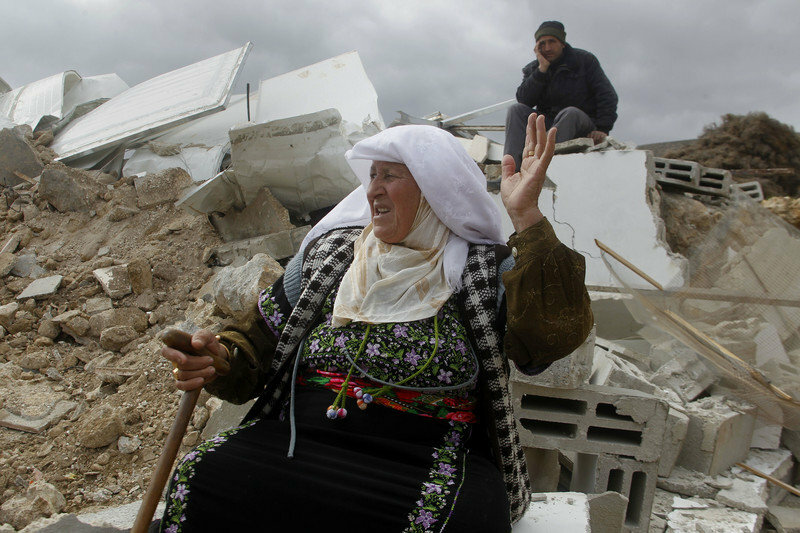 A Palestinian woman in the West Bank after occupation forces destroyed her home, Feb. 2. Israel claims “national security” as it forces Indigenous people out of their houses and off their land. Last year, the Zionist government destroyed 521 West Bank structures, leaving 636 people homeless. Meanwhile, Netanyahu’s government gives preferential treatment in land and water access and low rents to pro-Israeli companies operating in the Occupied Territories, benefits denied Palestinians. Some 1,000 factories are located in Israeli-run “industrial zones” set on illegally occupied land. Super-exploitation of Palestinian labor is rampant. Yet, global pressure is increasing on Israel, demanding an end to the Zionist state’s occupation of the West Bank and closure of the settlements and businesses there. The burgeoning Palestinian-initiated “Boycott, Divestment and Sanctions” movement is having an impact — and infuriating Netanyahu’s government. In November, the European Union ruled that goods produced in the Occupied Territories, Golan Heights and East Jerusalem must be labeled “Made in settlements.” In January, the United Methodist Church pension board was the latest entity deciding not to invest in Israeli banks. Volunteers distributed 10,000 copies of the lookalike edition throughout New York City. 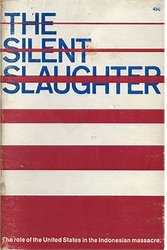 Printed by the New York chapter of Jewish Voice for Peace and Jews Say No!, the aim was to expose Israel’s violations of international law and Palestinian human rights and to criticize U.S. support for Israel. Organizers also emailed journalists across the U.S. on Feb. 2 under the Times’ name, linking to a website displaying a facsimile of the newspaper’s website. It was removed later that day. However, activists set up an alternative site, so the replica can be viewed at ­tinyurl.com/htyhuh6. A satirical editorial portrays the Times admitting that a disproportionate number of its articles center on Israelis’ viewpoints, while only a few cover Palestinians’ experiences and opinions. A correction reads, “Past articles fail to include the names of Palestinians killed by Israeli forces.” A list follows with the names and ages of 165 Palestinian children and adults killed by the Israeli army or settlers since October. Their names do not appear in U.S. newspapers, while Israeli deaths are often covered. Activist Jane Hirschmann explained that the two organizations wanted to tell the truth about Israel’s brutal occupation of Palestine and expose Israel as an apartheid state. They also intended to show the pro-Israel bias of not only the Times, but the U.S. media in general. The Times’ replica contains fake ads, too. Headlined “The Perfume of Power Eau de I.D.F. Skunk,” one states: “Since 2008, the Israel Defense Forces have routinely sprayed ‘toxic skunk water’ on and into Palestinian homes and schools. Its smell has been described as ‘worse than raw sewage’ and ‘like a mixture of excrement, noxious gas and a decomposing donkey.’” The IDF also sprays this concoction to disperse demonstrations. But the Palestinian struggle will not be stopped. The BDS campaign will continue — no matter how fierce the intimidation from Israel and its U.S. ally. The world’s people support the courageous Palestinian people in their determined fight for sovereignty and freedom. The writer’s grandparents fled anti- Semitic pogroms in czarist Russia in 1907.